Unlike their Marvel rivals, DC comics have not had such a successful run with the big-screen adaptations of their iconic characters over the past half-decade. Man of Steel was deemed too ordinary; Batman v Superman: Dawn of Justice too grim; Justice League too slight, and Suicide Squad too chaotic. All featured an over-reliance of special effects at the expense of narrative and character. A far cry, therefore, from the stupendous universe Marvel has created over the last decade, which has left the DC Extended Universe battling to keep up. Luckily, the DCEU scored a hit with last year’s Wonder Woman, Gal Gadot’s rendition of the Amazonian Queen/Diana Prince hitting all the right notes in terms of the action, effects, story and character. 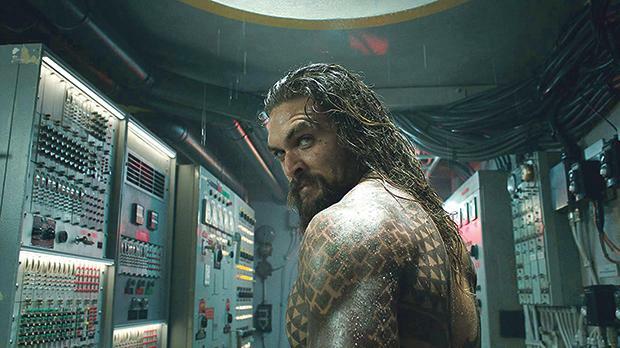 And, Aquaman is keeping the franchise on the right track – its incessant action, visually stunning underwater world and charismatic turn by Jason Momoa in the title role more than making up for its shortcomings. The screenplay by David Leslie Johnson-McGoldrick and Will Beall tells the story of how half-human, half-Atlantean Arthur Curry came to be Aquaman; and how, after a semi-ordinary childhood living on land, he has to journey to the deepest depths of the ocean to prevent a war between the peoples of the sea and the ‘surface world’ and, reluctant though he may be, to face his past and claim his birth right. Aquaman’s structure follows a typical origin story. It starts with the quiet romantic days preceding Arthur’s birth where his salt-of-the-earth father and regal, mysterious, mother meet and fall in love and settle down to an ordinary life. The film progresses to Arthur growing up with his single dad, when his mother meets a horrible fate, to the decisions Arthur needs to take as an adult. The narrative treads a familiar path, setting up as it does a big reveal which will come as a surprise to exactly no-one. It’s a straightforward and pretty undemanding plot, stretch­ed unnecessarily over two hours and 23 minutes, and the only depth the film has is the ocean. That said, Aquaman never pretends to be anything other than it is, and that is exactly what places it a cut above its preceding DC brethren. It is an action-packed, fun-filled superhero movie carried effortlessly by Momoa on his not-inconsiderable shoulders. He strikes quite an imposing figure with his Samson-like hair, ornately-tattooed body, and a sparkling twinkle in his eye that suggests he isn’t taking any of it seriously. He is rough, he is tough, he is droll and rumbustious, and he proves to be an exciting and engaging companion as he and Princess Mera (Amber Heard) who comes to Atlantis to seek him out and urge him to return home, travel across the world in search of a magical Trident buried alongside the first King of Atlantis’ first ruler, that would help Arthur reclaim his place as King. Their action-packed journey takes them to the edge of the Sahara Desert with a stopover in a little Sicilian village and finally to the bottom of the ocean where Arthur faces the current King and Arthur’s half-brother Orm (an effete, yet effective, Patrick Wilson) who is behind the plot to destroy earth, ostensibly as revenge for all the sea pollution caused by mankind. But really, it is simply because he is a power-hungry despot who craves the title of Ocean Master. There are numerous underwater scenes of breath-taking beauty as the story takes us to the myriad communities that populate the vast areas below the surface of the sea. Imposing structures rise out of the seabed; some still magnificent, others in ruins; sea creatures – alien and familiar – abound, and the costume and hair departments had a great time; all adding to a spectacular and magical water world. The Possession of Hannah Grace – A shocking exorcism spirals out of control, claiming the life of a young woman. Months later, morgue worker Megan Reed takes delivery of a disfigured cadaver during the graveyard shift. 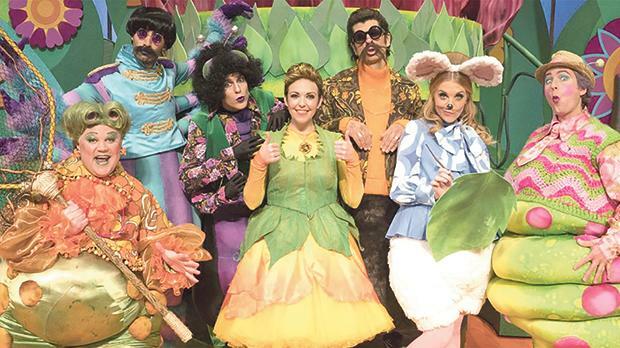 Cbeebies Christmas Show: Thumbelina - CBeebies’ favourite personalities are lined up to star in this unique adaptation of the original Hans Christian Andersen tale, Thumbelina.